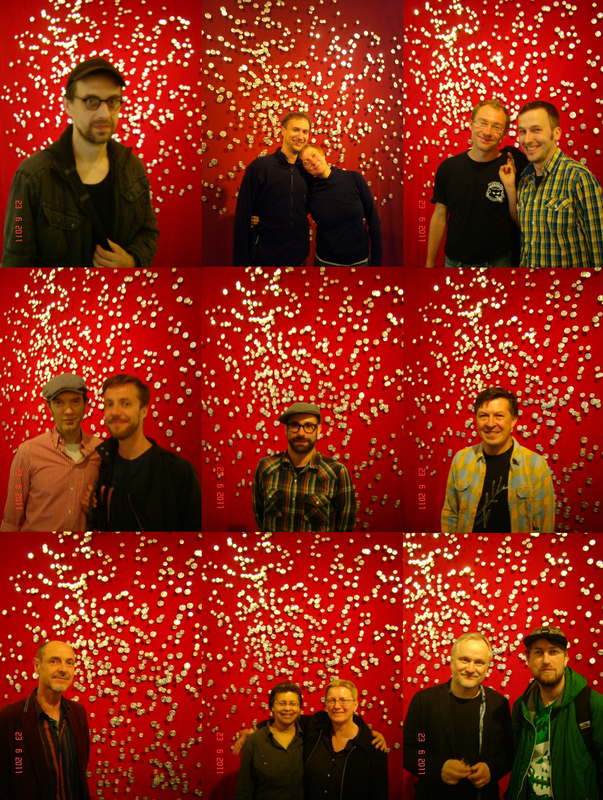 Things Have been busy here in Berlin! A small group of us Ami's have gathered together to create a networking support group called USARTBERLIN and have found empathetic moral support from our US Embassy based in Berlin. It's been some 6 plus or more months now and it will continue to be challenging to work together and expand and enrich the Berlin creative community. 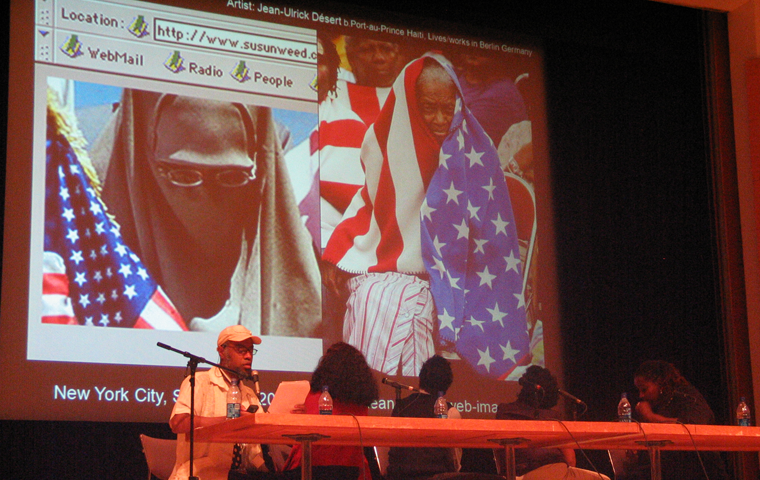 We now have a website (both private and public) at <a href="http://usartberlin.org">usartberlin.org</a> where we can dialogue and allow the public at large a possibility to connect with the membership and the groups activities and events. You can of course follow us on <a href="https://www.facebook.com/usartberlin">facebook</a> . 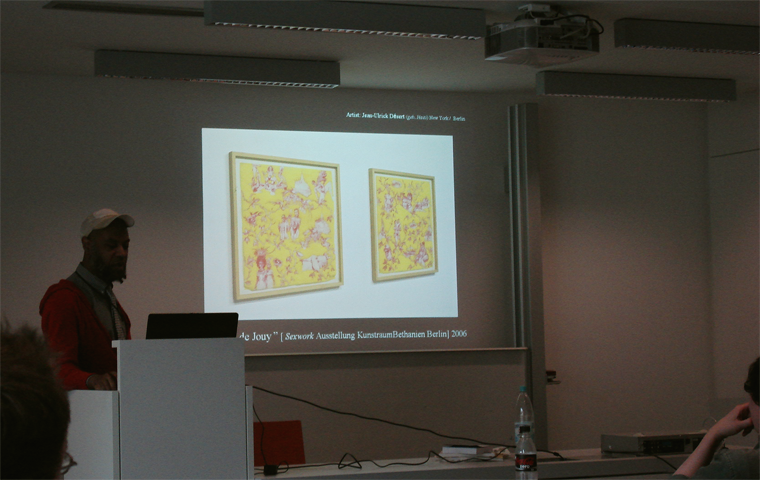 Our first event was a presentation by one of our members, the gallerist Alexandra Rockelman who delivered a presentation in her Berlin space called <a href="http://www.galerie-open.net/">Galerie OPEN by Alexandra Rockelman</a> . Her presentation included that of an invited gallery curator as well as a junior curator exhibition summer project she hosts every year in her gallery. Our most recent events included a private exhibition tour by one of the Getty's senior curators and art scholars Glenn Phillips for the first day of the <a href="http://www.getty.edu/pacificstandardtime/">Pacific Standard Time</a> exhibition here at the<a href="http://www.berlinerfestspiele.de/en/aktuell/festivals/11_gropiusbau/mgb_aktuelle_ausstellungen/pacific_standard_time/mgb12_pacific_standard_time_start.php"> Martin Gropius Bau</a> in Mitte. This week we are having several more events (private AND public) with workshops held by American curator Kathy Rae Huffman. Her "Art survival" workshops where she discusses strategies artists (particularly those working with "media" must consider. But this weekend will prove to be the <em>most</em> challenging event for me and my co-organizer , artist Elana Katz <a href="http://elana-katz.com/ELANA_KATZ/index.html">Elana-Katz.com</a> , as we have invited Kathy Rae Huffman and two very engaged director/curators in the creative Berlin community, Valerie Smith of the Haus der Kulturen der Welt <a href="http://www.hkw.de/en/index.php">HKW.de</a> , Berlin and Annette Rupp of the Villa Aurora <a href="http://www.villa-aurora.org/index.php?page=home_en">Villa-Aurora.org</a> , Berlin/Los Angeles, to speak on the topic of "Cultural exchange(s)"- <a href="http://www.usartberlin.org/dialog/viewtopic.php?f=6&t=165">Cultural Exchanges in Art: Patterns, Trends, Value, and Limitations</a>. 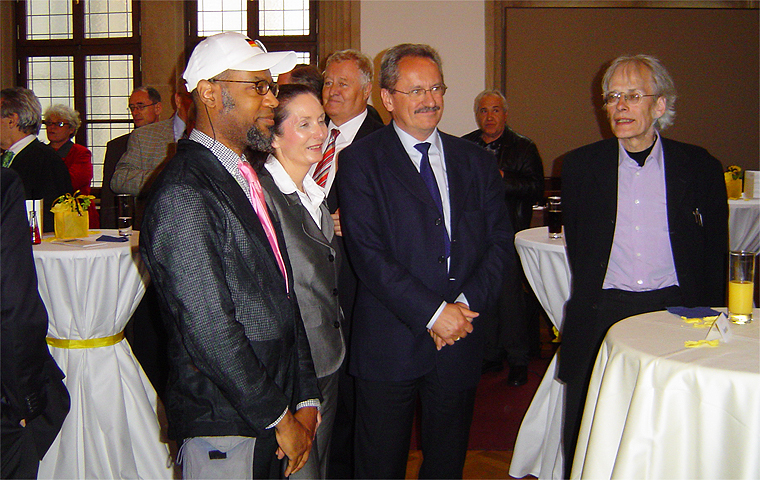 As a member of the well known and respected Neue Gesellschaft für Bildende Kunst <a href="http://ngbk.de/development/index.php?lang=en">NGBK.de</a> I was able to use my personal network to propose this important round table discussion to be given and hosted at the NGBK. Director Katja Hübner, curator Frank Wagner and the NGBK board approved our<em> last minute proposal</em> only 2 weeks ago and it's been a mad rush by me and Elana to get it off the ground (whilst doing all the other events and *our own art practices). we have been getting a steady flow of informal RSVPs and I am a tad worried the event may be packed. I just took a 2 week trip to the Netherlands, <a href="https://maps.google.com/maps?q=Terschelling,+Netherlands&hl=en&sll=37.0625,-95.677068&sspn=50.244827,103.447266&vpsrc=0&hnear=Terschelling&t=h&z=12">Terschelling</a> island to be specific. I stayed with some friends at a wonderful, but raw, building known as the "Wierschuur". It rained most of the nearly two weeks and yet it seemed appropriately apropos to the situation at hand. The rain did not dampen, but rather, contextualized the hardiness necessary to survive this life. Six months earlier I had been in the Netherlands and spent a day with a close friend Eddie who took his own life on Easter Monday. Therefore being back on his 'turf' was rather special and a way to engage in a certain closure. Time was spent being inspired at the local islands cemetery with moments of moving beauty and poetry. The text on the gravestone pictured speaks of a devastated family in which the children and the parents have died unexpectedly from a contagious illness on Terschelling island. toch moet ik 't willig dragen..</strong></em>." Eddie would have taken much delight in giving me a full historical overview and translation of this text. I do bear it willingly</strong></em>"
I had spent much time on the topic of suicide during my LMCC (Lower Manhattan Cultural Council) New York Studio program award- where I was given an atelier in the <a href="https://maps.google.com/maps?daddr=233+Broadway,+New+York,+NY+10007&ll=40.71259,-74.008112&spn=0.011271,0.025256&oe=utf-8&client=firefox-a&cid=0,0,8397432049140688342&fb=1&hq=Woolworth+Building&hnear=Woolworth+Building&geocode=0,40.712308,-74.008102&t=h&z=16&vpsrc=0">Woolworth Building</a> across from Ground Zero outside my window during the duration of my award. It inspired me in part to create a video loop project on the theme of romanticized death through the use of imaginary ruins- in this case the <a href="https://secure.wikimedia.org/wikipedia/en/wiki/Woolworth_Building">Woolworth Building</a>. 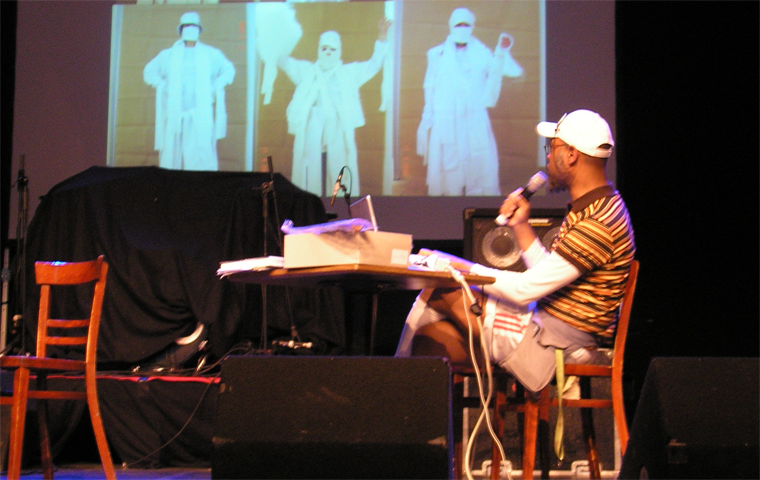 It debuted as part of the Studio Museum's (of Harlem) video program and was intended as an endless loop. 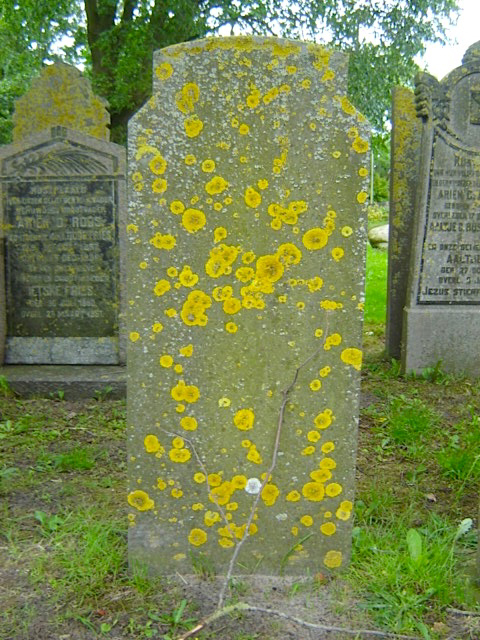 Back to the present tombstones, I am struck by the <a href="https://secure.wikimedia.org/wikipedia/en/wiki/Lichen">beauty of the invasive lychen</a> on the tombstones in part reminded me of my organic "<em>Goddess Constellations</em>". I can't help but think that the <em>Goddess</em> was there...somehow. Lectures can be great ways to think. It forces all of us to understand what we are doing as we communicate our practice, with words, to others. It has a therapeutic quality as well. I participated in a 7minute lecture challenge- perhaps not unlike the the <em>TED Lectures</em> in the Berlin component of the Pecha Kucha Lectures (which originated in Japan). The format is simply 22 slides with a time duration of 22seconds per slide for content narration. These invited lectures within the academic environments are perhaps the most fulfilling for me personally because of the engagement with the students- that said, the public venues in museums are always a challenge given their public nature. I often never read a prepared "paper" given that I believe the immediacy of connecting with each particular audience is of great value. The most complex moments arise when one has an audience whose personal concerns are so removed from my own- Thus my work is challenged to speak on its own and at times expand through the lens of an audience. But sometimes the table has been turned and I attend a scholars lecture where my art practice comprises part of the speakers content. In this instance I am most humbled by their study of my work within the larger context of contemporary art practice. Notably I think of several practitioners thus far who have expressed such eloquence. <em>Dr. Isabel Hoving</em> of <em>Leiden University</em> (Netherlands) who gave the opening lecture at my <em>White Man project</em> at <em>BRUCE</em> Rotterdam . Deeply committed to semiotic theory Prof.Hoving iterated a unique Dutch cultural viewpoint about the virtues of Dutch directness which is not shared by other cultures- where the tactic of bringing something into focus is done through the margins, an analogy in her assessment of my working practice. Whereas Art theorist <em>Jennifer Gonzales </em> of <em>UC Santa Cruz</em> (US) reached a certain set of conclusions that spoke of the "emptying out of meaning" as a methodology of reinventing the familiar. I am particularly interested in Gonzales' and <em>Sara Hermann's</em> views as all three of us are rooted in the Caribbean experience. 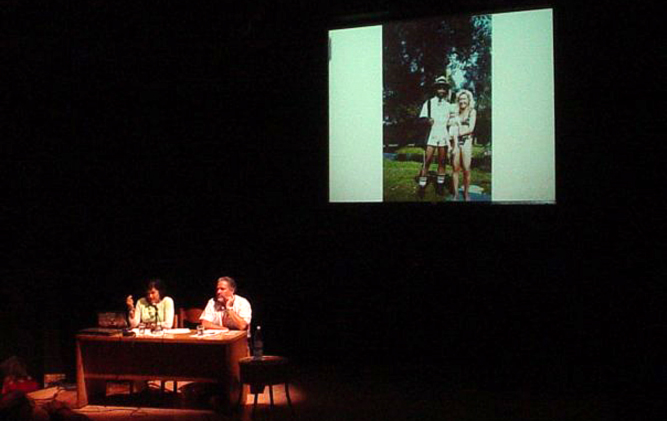 Ms.Hermann of the <em>Centro Cultural Eduardo León Jimenes</em> (Domincan Republic) speaks about my work within the locus of the Dominican experience of <em>the Western edge</em>, a euphemism for Haiti's enforced absence (as i often say that my artworks are often concerned with <em>conspicuous invisibility</em>) a concept she elaborates on in her book on the <em>Patricia Phelps de Cisneros Collection</em> entitled <em>Geografias (in)visibles</em>. I am endlessly fascinated by the work of these scholars / writers /theorists /historians as they articulate a living dialogue we are all having as cultural makers. I am very interested in the works of artist that resemble each other and yet are completely different in intent and ultimately details. I had created in 2000, while living and working in Paris, a project which i would call "The Hip Decadence of Seductive Glamour" as a response to my then environment of fashion-world overdose and the nagging details of its political deficits. I collected many coins to use in a public coin-operated photo-booth located in the underground level of the "Opera" metro station in central Paris (9th Arrondisement). 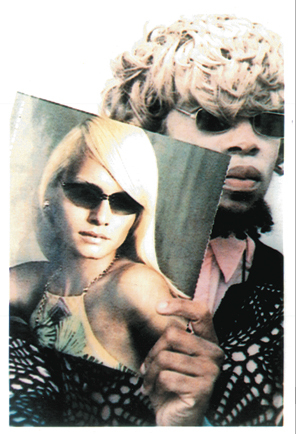 From my atelier at <a href="http://www.citedesartsparis.net/">the Cité internationales des arts</a> where i lived and worked, i started my transformation with blond wig, some fashionable digs and a good mixture of foundation make-up and rouge for the caucasian beauty market. It was all a bit absurd really, but it was an act of exasperation in my then environment. I arrived to the Fotobooth in the busyness of midday and inadvertently had left the coins at the studio and had to , in my new 'look', ask a variety of strangers for change. This was an unexpected action of sorts. Paris is an odd place where having such courage is respected and thus the photo documentation aspect of the work was able to happen. It seemed important to me at the time to create the documentation via this seemingly neutral machine in public space. The mere rock bottom paucity of it's capabilities in comparison to the dirth of highly paid fashion photographers the city of paris offers. This for me was a collaboration of sorts that would ultimately portray a rather complex cultural pathos played out with elements of race and cool. The originals were sent to the Netherlands for a show organized by Simon Ferdinando at the time and i had them scanned and blown up to distance them from the scale of their source. For this phase of the <em>Goddess Project</em> entitled <em>The Goddess Constellations</em> i decided to portray the something rather abstract yet meaningful- the hour of death and transcendence. 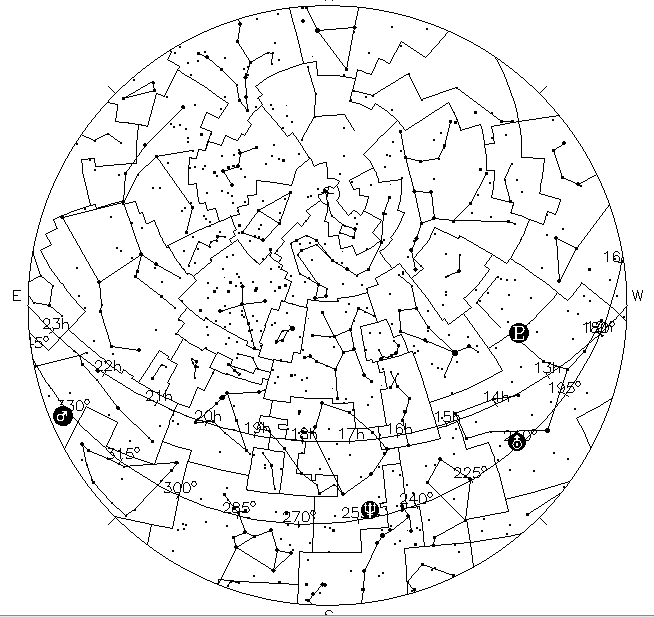 This work marks a moment in time and space and is essentially a map of the sky above the city of Paris (see the extensive constellations diagram in this Diary posting). Josephine Baker dies in hospital at 5am on the 12th of April 1975, a moment of destiny that in ancient astronomy would be as significant as the hour of birth. Each star is impregnated with an image of <em>Josephine Baker,</em> as if to imply her transcendent return to the cosmos. I am aware and welcome the abstract nature of the work, though i would argue that in a former time humans were extremely aware of the sky, the stars and awesome sense of the universal potential that lay within it. The physical installation took me a bit less than a week in the gallery spaces of the NGBK in Berlin. Fortunately I had been well organized about as many aspects of this projects construction as possible. The velvet (the tone of the color, its edges, the transfer of some nearly 750 points), the support mechanisms for the fabric and each of the pins, the delineation into small / medium / large stars as perceived from the earth, the complex arguments to fabricate the tools needed to create each coin-like metal star. <em>The Goddess Project</em> is a large on-going work that encompasses various parts. 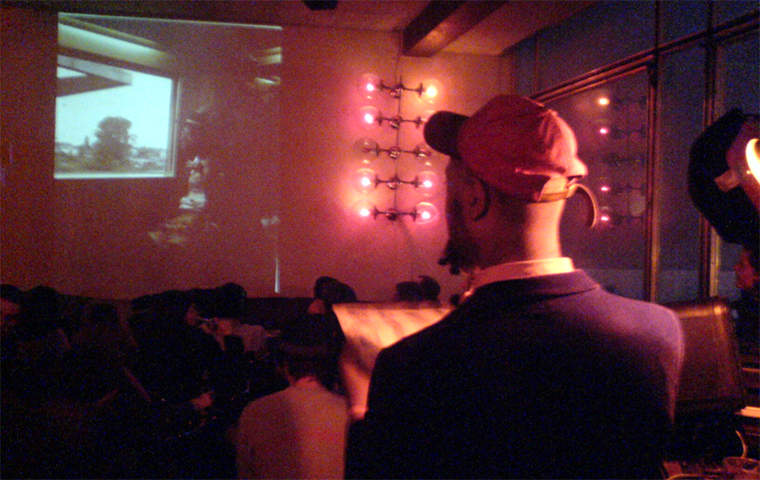 It encompass the <em>Shrine of the Divine Negress Nr.1</em> as seen in this short video walk through at Dada Post Gallery in Berlin Germany. The <em>Shrine of the Divine Negress Nr.1</em> was created in such a manner so that the main transparent sections could easily travel and fold like a map. The Dada Post Gallery space offered the possibility of hanging the panels on a custom stained "fachwerk" frame structure in parity with the former German fish-smoking factory. It was bitterly cold at the time of the installation during one Berlin's coldest snow storms and i was often listening to Gregorian chanting in my studio. This meditative sound harkens back to my Roman-catholic childhood among nuns and monks both in Haiti and in the USAas well as my time spent as a <em>enfant de choeur</em> (altar boy). Dada Post's other gallery space exhibited the work of African-american artist Paula Ross during the time frame of this installation. I was concerned about how intrusive chanting might be, though it fits perfectly with an aspect of my intent- in many of the rituals of voodoo's <em>Loa</em> (spirit gods) pantheon music plays a critical role. This is a short 2,5min video-link of the "<em>Negerhosen2000</em>" Project redeployed into public space. I was commissioned by the Munich Buildings Council (Münchenbaureferat) and QUIVID the Public Artworks Commission. “Negerhosen2000 / Postkarten von meinen Lieben” is, in part, a homage to two beautiful European squares: <em>Marienplatz</em> in Munich and <em>Piazza San Marco</em> in Venice. These two historic centers of human communication, exchange and transport find their modern counterpart in the Marienplatz U/SBahn station interchange below ground. This artwork offers a large quick colorful interlude during the public's subterranean trajectories. Postcards are the image of modern tourism and travel, mediating beautiful or memorable experiences. They are private and yet they share publicly the experience of places or events with others. This social practice persists and remains popular today. This manifestation of the <em>Negerhosen2000</em> project consists of five (5) large framed and illuminated billboards in the manner of over-sized postcards each with a selective text from the histories of proverbs most cultures collect. It is intended that these artworks not be confused with advertisements. They promote nothing other than images of beauty, history, tradition and wisdom in various proverbs. Proverbs that are connected to a fantasy of Heimat (homeland) as is the Lederhosen costume. To this end, each of these texts is written in a style of script known as <em>Sütterlin</em> or <em>Deutscheschrift</em> (German script) not taught on grade-schools since the 1950s. This created the peculiar situation in which only a fraction of the city's population (i.e. the elderly or historian/scholars) could decipher and read the private messages presented to thousands everyday in Munich's ground-zero known as Marienplatz. Each element used is relatively ordinary, connected to everyday experience and are therefore easily accessible to the large public both from Germany and abroad. The primary effect lies in the visual strength of the pictures. The pictures are bold, colorful, figurative and spatial. They are collected from ordinary people who participated in the Negerhosen2000 art-action. The light-heartedness and joyful spirit elegantly dominate the secondary element of the proverbs. The old German handwriting style <em>Sütterlin</em> stresses their ‘decorative’ value as opposed to the surrounding publicity messages that depend on legibility.